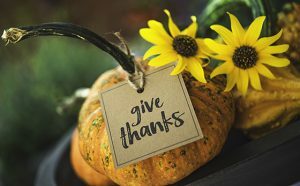 It’s difficult to capture in one blog post all the things we’re thankful for at FirstLight Home Care. For us, it’s about the clients who trust us to help them achieve independence and live happier lives. The family caregivers who invite us to be a part of their caregiving journeys. The partners who help us deliver the best home care services. And the referral sources who introduce us to the people who will become such a central part of our lives. But just as much as we’re profoundly grateful for the people who allow us to live out our mission of caregiving, we’re also in awe of the moments we have the opportunity to share with them. Like the daily moments of joy of a great grandmother who can remain in her beloved home while she ages. Or the smiles of recognition from a father living with dementia. It’s the moments of triumph for a son who’s navigating a challenging recovery from major surgery. The first snuggles between a new mom and her precious baby. The surprise in the eyes of a sister with a disability who has discovered a way to do something she thought she’d never do. The prideful voice of a veteran in the moment he shares a memory about his days of service. And the instant a woman realizes she has the support she needs to be a daughter again. We live for these moments. And we don’t take a single one of them for granted. Witnessing these moments, caring for the people who are living these experiences – that is our calling. And we couldn’t be more grateful for the way every moment impacts our organization. And enriches our lives.